Traveling by River Cruise provides an opportunity to relax and enjoy a multiple city/country journey with having to pack and unpack just once. Because the ships are smaller, you will have access to charming towns and villages that a large ship could not reach. There are many river cruise lines to choose from that vary on price and package inclusions. ​ We recommend working with an experienced travel consultant to maximize the value for your river cruise vacation. 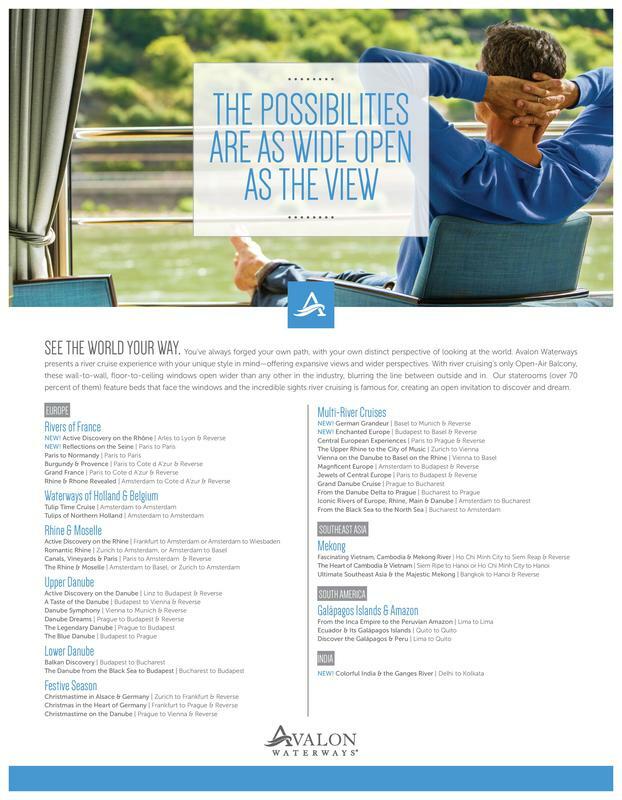 Take a moment to explore some of the River Cruising options here, then call us for your consultation.